Fantasy Book Critic: Terry Brooks' "Shannara" fantasy series optioned for film by Warner Bros. + Thundercats!!! 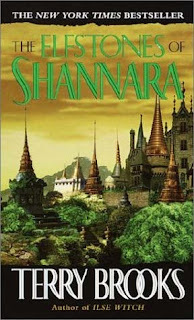 Terry Brooks' "Shannara" fantasy series optioned for film by Warner Bros. + Thundercats!!! Oh Elfstones on the big screen!!! Oh and I love the Thundercats! Mehehe. And the Silverhawks! I loved Voltron as well! I grew up with Japanese anime so I must say I'm biased there. hehehe. My fave growing up was Mazinger! Oh and Cyborg 009!